Infinity - in this context the wrapping of matter with no boundary and no limit, never ending. 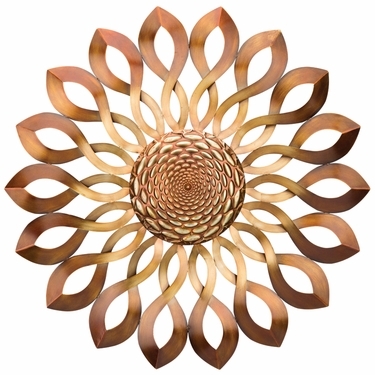 Our new Infinity Sun Wall Decor is designed to elegantly stimulate and invoke awe. This gorgeous wall decor will captivate any observer with the complex, yet harmonious alignment of rays and self-contained chromosphere. Made of sturdy metal and powder-coated to look great indoor or outdoor, this is a must-have for any home. Size: 2.25" x 30" Diameter, 4 lbs.